These locomotives were medium sized tank engine designed for stopping passenger work. As such they were to be found all over the Great Western Railway system. The original design was by G. J. Churchwood in 1903 as the '31XX' Class & thus was later modified by C. B. Collett. 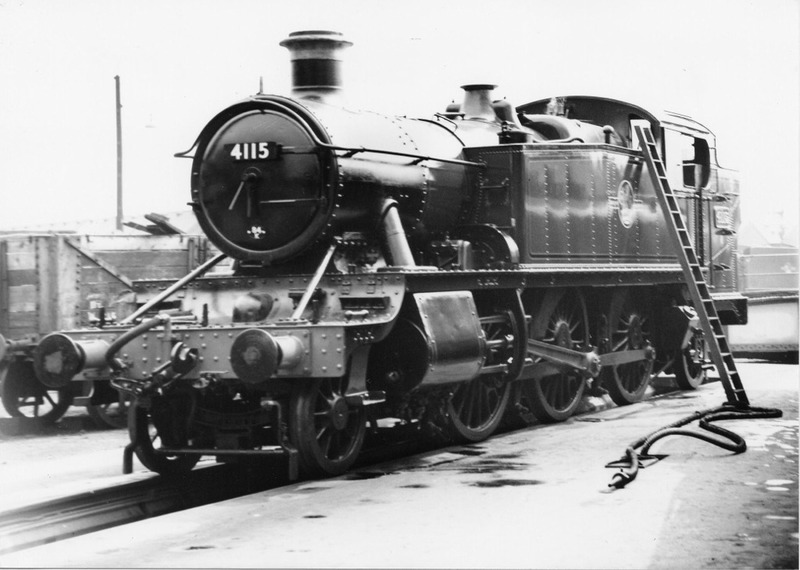 No.4115 was one of the later locomotives being turned out by Swindon Works in October 1936. It spent most of its working life in the Birmingham area but was based for a time at Croes Newydd Shed at Wrexham before being withdrawn from service in June 1965.